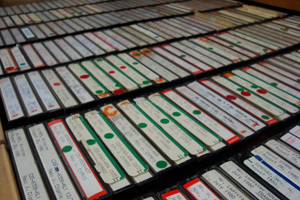 One of the largest oral testimony collections in North America, the MHSO oral testimony collection is composed of over 6,075 oral history interviews. The majority of the interviews were conducted during the 1970s and 1980s. They include the powerful oral testimony of Ukrainians who came to Canada as displaced persons following World War II, former soldiers of the Polish Second Army Corps who were unwilling émigrés in 1946, family-sponsored Italians who joined an earlier wave of sojourners in search of a better life in Canada, Finns who were drawn to work in the mining and lumber towns of northern Ontario, Hungarian refugees who came to the province in the wake of the 1956 Hungarian Revolution, American war resisters and draft dodgers who sought refuge in Canada during the Vietnam War, Irish immigrants who came to Ontario in the 1960s and South Asian immigrants who came in the 1970s, and Vietnamese ‘boat people’ who, after fleeing southeast Asia, were admitted into the country in 1979 and 1980. More recent additions to the collection include interviews conducted as part of the Agincourt: A Community History, Memorial 1956 – The Hungarian Exodus, and Chinese Canadian Women 1923-1967 initiatives. The MHSO has also interviewed a number of individuals who were former interviewers. A large number of interviews have been digitized in the Society’s Strangers No More: Immigrant History and Multicultural Canada initiative, and in the future they will be accessible through the Discovering Multicultural Canada archive.